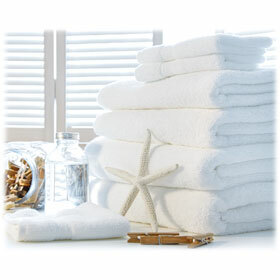 Economical guestroom towels are cost friendly and provide the best option if your property has a problem of disappearing towels! Provide your guests quality at an affordable rate. 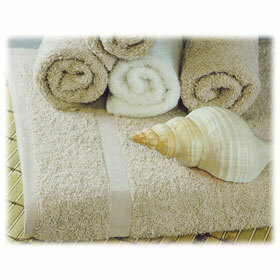 Bayfields 100% cotton towels are available in washcloths, hand towels, bath towels, and bath mats. 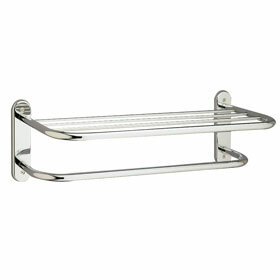 Various sizes are available in bath towels, with differentiating weights. 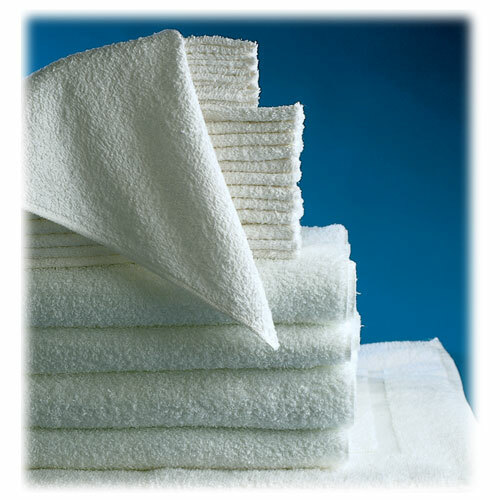 A heavier towel will be more absorbent, thicker, and withstand repeated use. 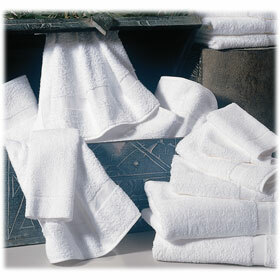 We recommend washing all Bayfield towels before use as they will arrive compressed to save on shipping costs. Towels fluff to normal after a washing cycle.